Visitor safety audits for visitor attractions and historic buildings. All our services and projects are each led by a Director. Our team have a depth expertise and experience in all the areas of work that we cover ranging from Chartered Building Surveyors to heritage analyst’s. Sally studied at the National Design Academy and is a qualified professional interior designer and has a particular interest in historic interiors. She is also qualified in energy efficiency and retrofit of traditional buildings. Much of the focus of her work has been on managing and developing the historic environment. Sally has over three decades of experience working at a senior management level in heritage and tourism, in the public, private and 3rd sectors. Her responsibilities particularly covered projects and management of significant historic buildings. She also has experience of all aspects of destination and visitor management. Sally held responsibility for Cardiff’s prestigious civic venues – Cardiff Castle, City Hall, The Mansion House, The Old Library and The Cardiff Story Museum. As well as overseeing facilities and operational management at venues, Sally dealt with a number of development projects. Through her years in Cardiff she developed an in-depth understanding of what makes a venue work, from layout and design, to maintenance, economics and operational issues. Her next focus was in Carmarthenshire, following a major restoration programme at Llanelly House in Llanelli, Sally was appointed on a consultancy basis to take it through to operation as a quality visitor attraction, followed by interim management to establish the team. Her destination management experience has encompassed rural and seaside locations and includes running the tourism services for the Welsh Capital, Cardiff. Her achievements include winning multi-million pound grants such as a substantial Heritage Lottery Fund grant for the conservation of Cardiff Castle and securing funding and implementing major regeneration programmes. One such project involved a Resort Action Programme at Barry Island, which among a wide ranging list of initiatives, included returning a number of Victorian facades to their former glory. Her work in the Vale of Glamorgan was recognised when she was awarded the accolade of UK National Local Government Manager of the Year. Sally brings a real practical understanding to the table and is particularly practiced at optimising the use of historic buildings whilst taking account of the need to maintain and conserve them. She is a strong believer in “use it or lose it” when it comes to our heritage as well as understanding the commercial pressures on building owners. 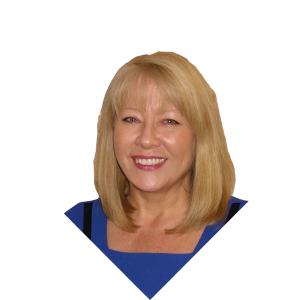 Sally can provide overarching strategy, or work at a detailed level providing practical solutions for venues and attractions. As MD Sally takes day to day responsibility for running the company. John is our lead on the understanding and treatment of buildings, which includes their accessibility and safety, energy efficiency, sustainability and building conservation. A Chartered Surveyor, Chartered Environmentalist and Chartered Construction Manager, John is qualified to post graduate level in architectural building conservation and is a Certified Historic Building Professional by the RICS and Accredited by the Institute for Historic Building Conservation (IHBC) of which he is also a Trustee. 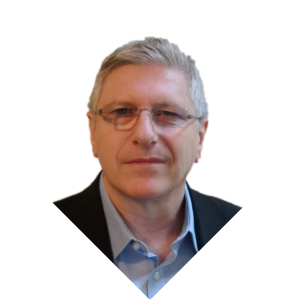 He has over thirty years’ experience in construction and property, ranging from environmental monitoring and detailed building pathological investigations, to the development, management and supervision of major works and projects including a £15m project at Cardiff Castle plus estate and facilities management. John first undertook non-destructive surveying techniques and environmental monitoring of buildings in 1981 and has since worked on many different types of buildings ranging from the very modern to Castles and Cathedrals as well as domestic scaled buildings in the UK and beyond. John’s experience in energy management began in the 1980’s when with the aid of a Building Management System, he led a team that monitored and managed energy use of an estate comprising public and historic buildings. Energy efficiency measures installed included one of the UK’s first CHP’s. Today John has led in the greening of the Welsh Governments historic estate of 129 historic monuments, which includes World Heritage Sites at five locations, with an array of energy efficiency measures as well as leading on an exemplar energy efficiency research project into the retrofit of traditional buildings. John is a member of BSI Committee B/560: Conservation of tangible cultural heritage and has contributed to numerous European and British Standards which has included surveying of historic buildings, repair and cleaning of masonry and energy conservation as well as the lead author of BS7913: 2013: Guide to the Conservation of Historic Buildings. John is also co-author of the RICS Historic Building Conservation Guidance Note, co-author of CIOB/Carbon Action 2050 guidance on retrofit, and guidance on the maintenance and operation of buildings and is the iSURV (RICS) lead author on managing risks in conservation projects. As a specialist panel member with ‘Asset Skills’ and CITB, John has contributed to the development of National Occupational Standards, qualifications and learning material for the UK Governments ‘Green Deal’. John is also a former member of the RICS Sustainability Working Group as well as an expert panel member and Co-founder of the Sustainable Traditional Buildings Alliance and is also a member of the IHBC Technical Committee. John was Assistant Director at Cadw from 2011 to 2014 as their lead on building conservation, energy efficiency, sustainability, visitor access and safety as well as managing and operating their estate. Prior to joining Cadw, John worked for English Heritage, private sector consultancy, local government and building contracting. John is also Professor on Practice at the University of Wales Trinity St David. “I have worked with John on various projects for over ten years and have always been extremely impressed by his expertise, his in-depth knowledge of subjects, his innovation and his drive to see jobs through to completion. He has a knack of balancing needs, inspiring others to work with him to achieve the desired outcome”. Rory Cullen, Head of Building, National Trust.